On 'It's Real,' Ex Hex Keep Ripping, Unearthing New Terrain In The Process The D.C.-based three-piece Ex Hex, in a word, rocks. For its new record, the band shakes up the frayed-but-taut tumult for which its known with some nods to '70s prog-rock and '80s hair-metal. 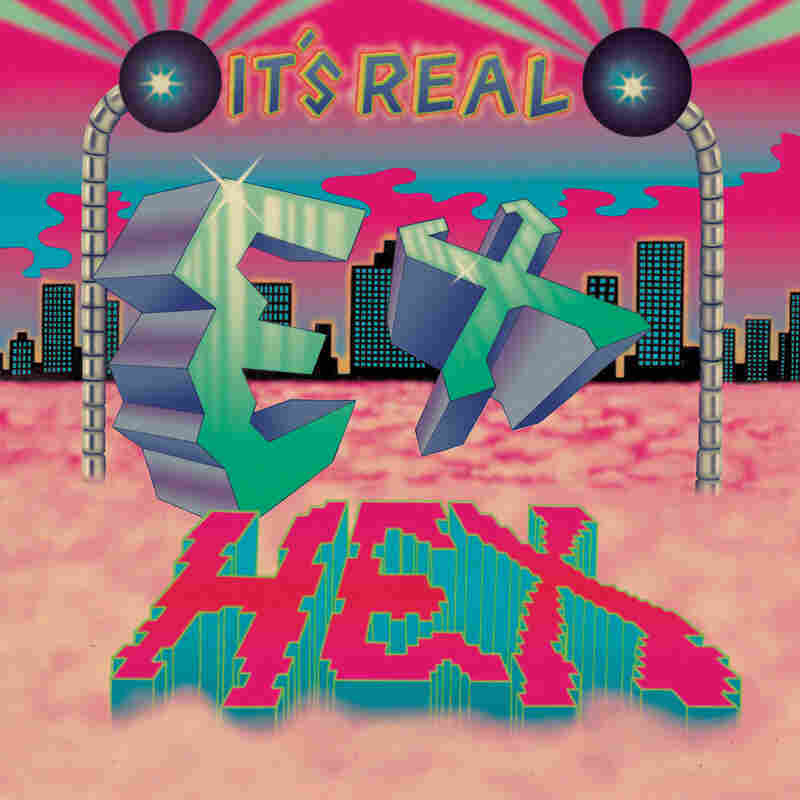 Ex Hex's It's Real is due out March 22 on Merge. When Mary Timony digs in to heavy power chords or unspools a scorching solo, it's impossible not to smile. Celebrated for her innovative work in the trailblazing '90s bands Autoclave and Helium, and later in the supergroup Wild Flag, Timony has long held a reputation for dexterous guitar playing, acidic textures and noisy deconstruction, and an ever-shapeshifting musical aesthetic. But with Ex Hex's debut in 2014, Timony sealed her status as a boundary-pushing guitar hero. One the best live bands around, the Washington D.C. power trio — Timony, plus bassist Betsy Wright and drummer Laura Harris, who are also Timony's songwriting partners — plays with joyful verve and uncompromising cool. That's especially true when striking iconic rock poses on stage: leaning back-to-back as they jam out, or slinging the axe over the head and tearing up some frenetic behind-the-back licks. Ex Hex's 2014 debut, Rips, was a perfect snapshot of these kinetic performances; a jolt of garage rock and punky power-pop tailored for packed clubs, and meant to be cranked loud on the car stereo while hurtling down the highway with the windows down. Pre-order It's Real on Amazon and iTunes. Nearly five years later, that visceral, unabashed fun kicks in early and often throughout Ex Hex's follow-up album, It's Real. The album's fiery opener, "Tough Enough," sets the mood, unleashing a blur of buzzy hooks, exhilarating drumming and dazzling vocal harmonies. "Acting tough ain't good enough," Timony sneers in the wake of heartbreak, conjuring resilience to push through the hurt and bitterness of the past and hoping better things are to come. "There's a storm in the distance, but now it's moving on." Working alongside Jonah Takagi, who also produced Rips, Timony and Wright sought to develop a more collaborative songwriting process, resulting in taut gems that continue to harness their live interplay, while allowing room to experiment and shake up their own formula. Tracks like "Radiate" and "Diamond Drive" still retain Ex Hex's calling-card vibe — chugging, overdriven guitars and slap-back echo, Wright's bouncy, ascending bass lines, and the propulsive snap of Harris' snare drum hits. Another highlight, "Rainbow Shiner," burrows deeper, as blistering riffs and elated vocal harmonies pierce through thick, distorted fuzz. But It's Real also builds a more immersive palette, showcasing phasing guitar effects ("No Reflection" and "Talk To Me"), swooping slide and robotic voice filters. Ex Hex stylistically shifts even further on "Another Dimension." A cosmic love song yearning for connection, the band successfully folds in genre elements of '70s prog and '80s big-hair arena-rock, hinted at in the magenta-hewed skies and airbrushed van art-styled sci-fi mood of the album's cover. Those playful rock tropes bolster the darker lyrical motifs at play throughout the album. Across numerous songs, Ex Hex alludes to internal anxiety, self-doubt and pining over lost love and heartache, as in "Good Times," where Timony reflects on the lingering memories after a relationship has soured. "I should have known right from the start you'd mess around with my heart," Timony sings, melting away coiled angst with searing melodies. And as the title implies, It's Real is searching for authenticity: "Want It To Be True" explores the lies we tell ourselves, while "Cosmic Cave" questions whether love was an illusion all along. Similarly, on "No Reflection," Timony examines the distancing personas we often adopt to keep from divulging truer emotions. "It's one thing to be real and another to pretend / This mystery you feel that you thought would never end," she sings, trying to win someone back. "I'll be better to you, baby, better this time." Whether an earnest and personal sentiment, or simply adopting amalgam of archetype, there's always touch of irony to lines like this, further undercutting meaning or masking clear motives. Later, on "Radiate," Wright wrestles with loneliness post-breakup, singing "Yeah it feels like nothing's gonna be the same / Love's like a radar / Now you're out of range," before attempting to convince us and herself that things will eventually get better. "C'mon baby, you know it's gonna be alright / Diamonds in the air / Shining down tonight." 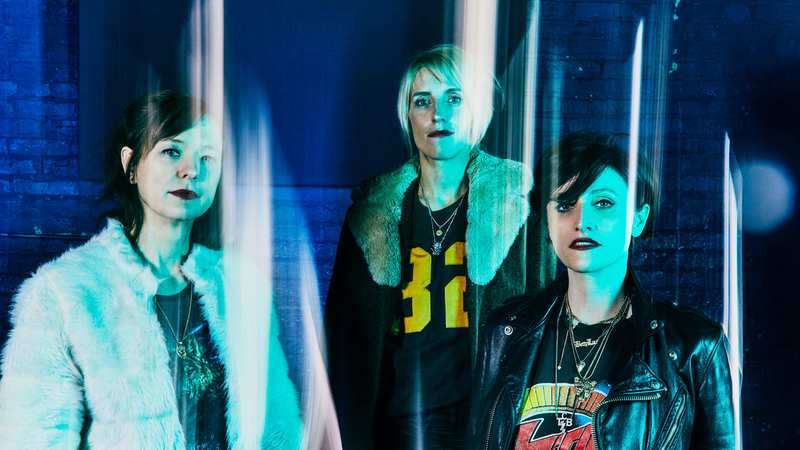 Ex Hex's blasts of rock and roll will always inspire fist-pumping and sing-alongs. But when Timony, Wright and Harris deploy their exuberant music as an entry point to fearlessly reveal more of themselves — trauma and sadness, regrets and anger — It's Real lays a path for working through painful moments and re-empowering one epic riff at a time.